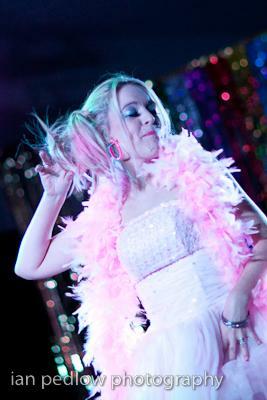 Our PTA musical extravaganza ‘Stars In Their Eyes’ at La Mon Hotel proved a smash hit, selling over six hundred and fifty tickets! By 6.00pm the foyers at La Mon were choco-block with children, parents, friends and family all hoping to secure the best seats in the house for this long anticipated show. The place was buzzing! Back stage the mood was also electric, but for a different reason. The weeks of rehearsing were finally to be put to the test in front of a live audience. The nervous energy was building to seismic proportions! At 7.45pm the hall lights were dimmed as our twenty-four parents and staff were welcomed onto the stage to blast off the show with a rousing rendition of ‘Don’t Stop Believing’, accompanied by the excellent UT Belfast House Band. The place was bouncing; no one expected such a forceful start to the show. Next up was our compère for the evening, comedian, Mr William Caulfield and he certainly didn’t disappoint with his repertoire of humorous tales and quick wit. First onto the stage was school governor, Jayne Moore performing a moving version of Dylan’s, ‘Make you Feel My Love’ in the guise of Adele. Jayne’s knees may have been knocking but she was a model of composure as she kicked off proceedings. Second spot belonged to the legendary, Spice Girls or Spicy Mums; Kate McAlpin, Jillian Ramsey, Karen Hamilton, Lynn McCreery and Lorraine Shaw. They told the audience in no uncertain terms what they wanted, what they really, really wanted as Sporty Spice (Kate) completed an Arab Spring across the stage! Zigazig-ha’, they sure were hot! Up next was BBC2 presenter, smooth talking Elaine Ayre with a melodic version of Annie Lennox’s classic ‘There Must Be An Angel’, complete with harmonica solo! It was later uncovered by William Caulfield that Elaine was not actually playing the instrument! 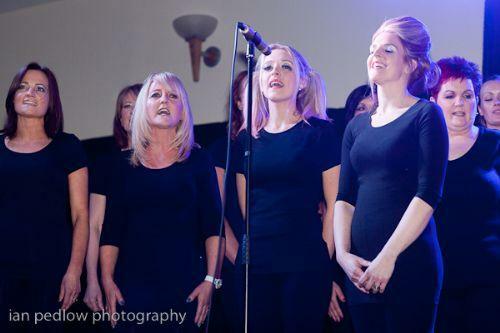 Fourth to go were seventies super group, ABBA, reformed by school staff; classroom assistant, Diane Donnell; teachers, Christine Floyd and Danielle Halsall and principal and singing sensation, Roy Greer. (He wrote that bit!) 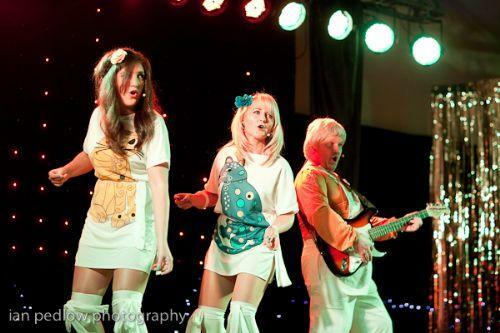 Abba provided a bit of nostalgia for the forty somethings, with a medley of Abba hits, and a little Gangnam Style thrown in for good measure! Next was fuel deliveryman, Graham Finlay. 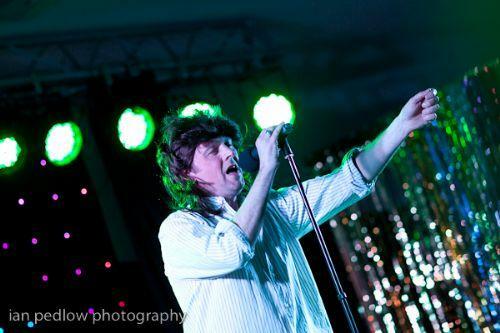 As Sir Bob Geldof, he delivered a pitch perfect rendition of the Boomtown Rats first hit single, ‘I Don’t Like Mondays’, and like Sir Bob, his mullet looked like it had a life of its own! Last up, were girl band sensations, Girls Aloud. 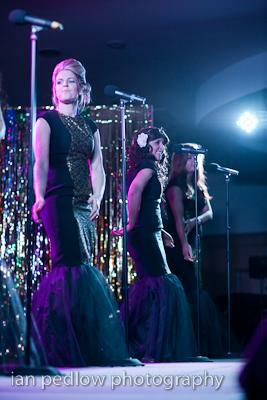 The famous five; Jill Hughes, Jenna Lavery, Sarah Henderson, Claire McCaughey and Joy McCormick stunned the audience as they performed ‘The Promise’ in their long black evening gowns complete with gold lace. 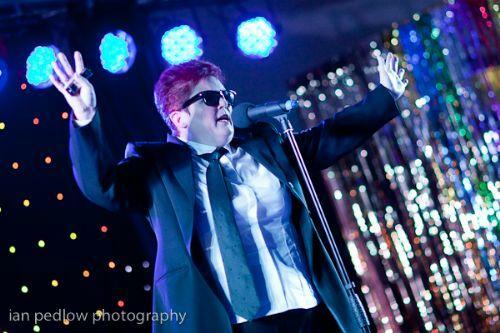 It was just like being at The Royal Variety Performance! 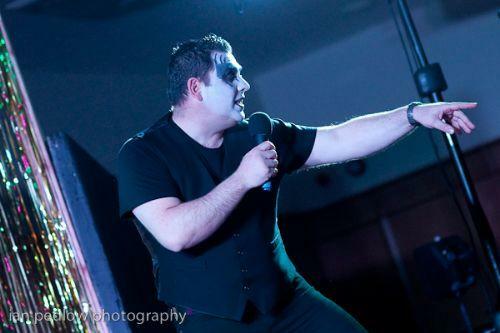 First up was Robbie Williams and just like the great man, Gary Graham, complete with black and white ‘Joker’ style makeup, produced a larger than life performance of ‘Let Me Entertain You’. 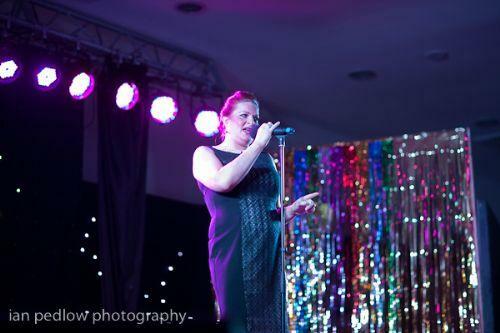 Then the audience was mesmerised by the mystique of Lady Gaga; brilliantly represented on stage by music teacher, Sarah McCarter. 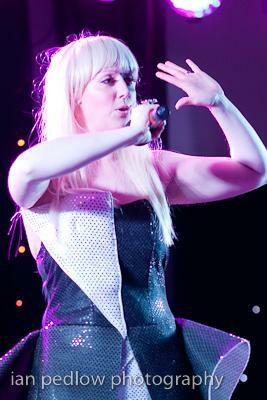 Her metronomic style wooed the audience as she performed the hit song, ‘Papa’. 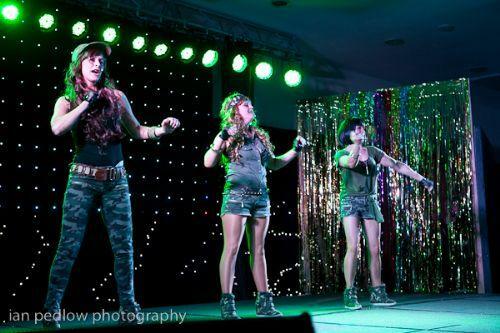 Staff trio, Jill Anderson, Laura Kelly and Helen Peters appeared on stage as Destiny’s Child, complete with camouflage fatigues. They performed an extremely tight, high energy version of ‘Survivor’ and certainly had the audience dancing in their seats and calling out for more! Theirs was definitely a star turn. With the trio exiting stage right, Elvis entered the building in the guise of John Ellis, complete with white trouser suit, cloak and silk scarves, which he launched into the audience. If you closed your eyes and ignored his mammoth wig you would have sworn Elvis was alive and well and performing at La Mon. The evening finished with a smoothie for the ladies, not a Strawberry Daiquiri but Johnny Shaw crooning in the style of Michael Buble. His flawless performance of ‘Haven’t Met You Yet’ certainly wowed the audience and included an impromptu walk about among his adoring fans. 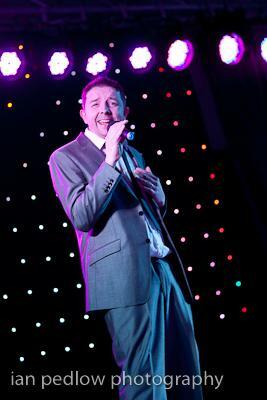 While the acts changed for the group finale William Caulfield delivered another rib tickling routine. 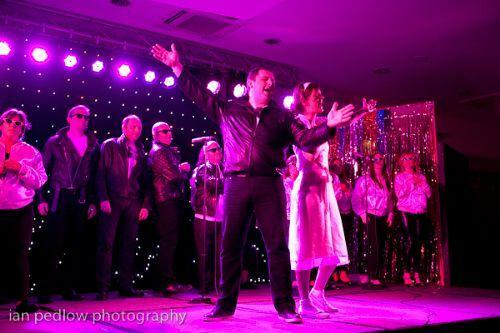 True to form, the ‘Grease Mega Mix’ went down a storm with the audience as Danny, Sandy, the T' Birds and Pink Ladies delivered a foot stomping reprise. 'Friday night and the lights are low, Lookin’ out for a place to go. Where they play the right music, getting’ in the swing. You come to look for a King! And they found him! 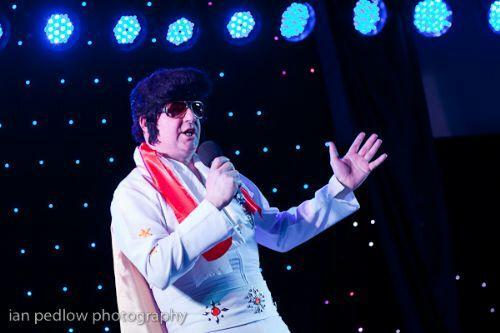 With all the votes counted, the last act standing was Elvis impersonator, John Ellis one of our parents and dad to Katie and Jack. 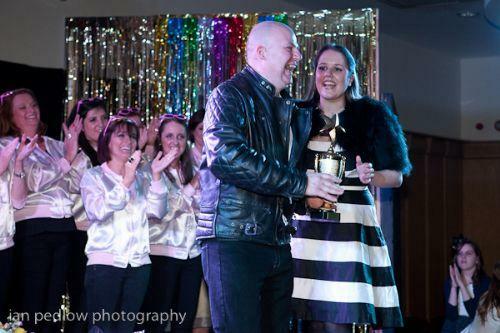 After he received the coveted ‘Star In Their Eyes’ trophy from voice coach, Aisleagh McConnell, big John gave a rousing rendition of his winning number, the timeless classic, 'Suspicious Minds'. 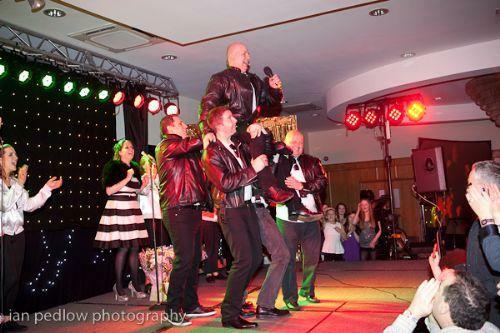 The audience went crazy boogieing in the aisles as John was chair-lifted by the T' Birds! What a fantastic finale! With all costs paid, the event raised a humongous (Yes it is a word!) £6000, which will enable us to purchase a set of iPads, to provide our pupils with state-of-the-art technology to support their learning. The boys and girls just can’t wait! Congratulations to Karen Hamilton our PTA chair and our wonderful PTA Committee for yet another blockbuster event! What will they dream up for next year? f you want to see photographs of the event check out the PTA page on the school’s website at www.moneyreaprimary.co.uk. Or to find out more about our wee school, contact Debbie on 02890 448 443.